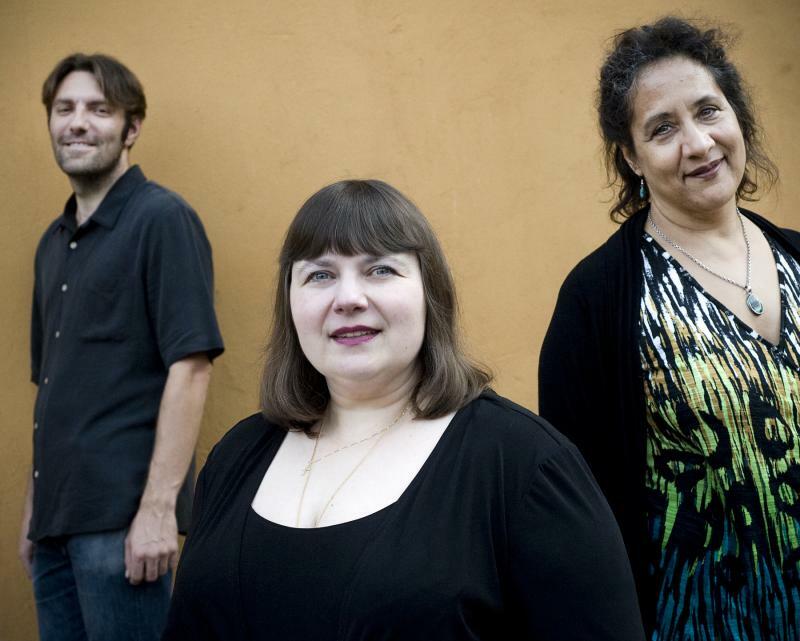 Readers of between sound and space will, I hope, be familiar with Yelena Eckemoff, who has been skirting the ECM fringe for some time now in her working relationships with such artists as Peter Erskine and, most recently, Marilyn Mazur. 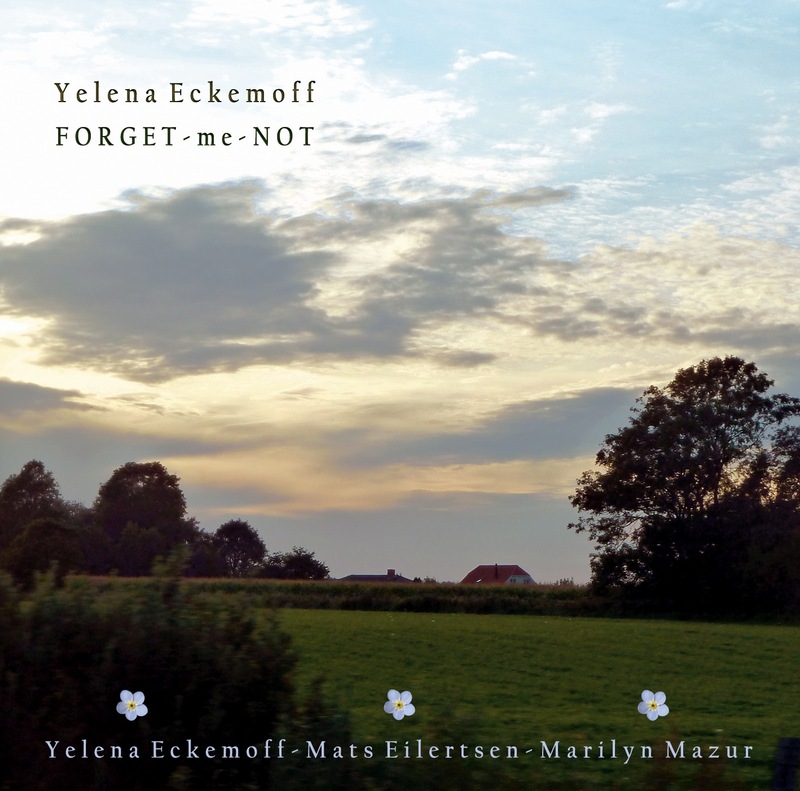 The latter provides a crisp and delectable palette to the Russian-born pianist’s latest effort, FORGET-me-NOT, which also features Tord Gustavsen recruit Mats Eilertsen on bass. From the breathy clusters of “Resurrection of a Dream” it is clear that Eckemoff has written yet another distinct chapter in the storybook moods of her compositional development. Against a backdrop of twittering percussion and arco haunts she carries us through this slick opener with equal parts style and fortitude, riffing on the ether with her most unbound pianism yet. Mazur is splendid on cymbals amid a bevy of colorful kin, Eilertsen firm yet sensitive, soloing as if in memory of the lullaby that brought us here. Thus set, the album’s tone moves in shades through the child-like wonders of the title track to its densest dramas in “Welcome a New Day.” Along the way Eckemoff treats us to not a few surprises, of which the crumbling edifice of “Maybe” paints perhaps the most intriguing. The punctilious “Sand-Glass” further hones the set’s serrations and leaves us prepared to dissect the delightful little groove that is “Five” (in both title and number). Eckemoff’s classical roots come to the fore in “Schubert’s Code.” Making its timid entrance onto a stage draped with patterns of the nineteenth century, it nevertheless sparkles with clear and present reflections and showcases a real feel for detail. “Quasi Sonata,” on the other hand, rolls out the retro on a smaller scale and feels most like fleeting reminiscence. The pleasant dissonances sprinkled throughout “Seven” (in title but not in number) also bring us into the unexpected, a place where cascades and stepwise chains share a drink and a smile, while the more erratic “Trapped in Time” brings us into a swing to remember, replete with Mazur’s solid rim hits and spiraling energies.